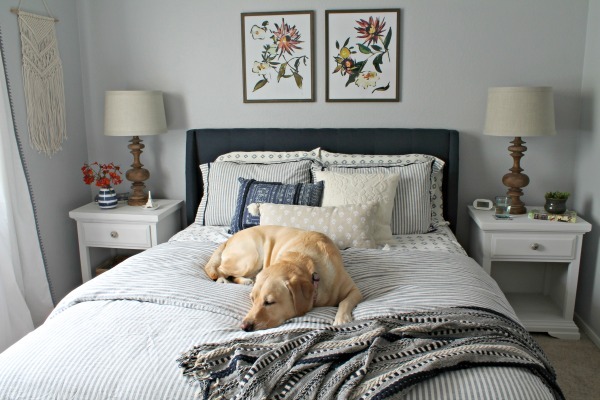 CB2 recently announced that they are partnering with husband-and-wife design duo Robert and Cortney Novogratz for their latest collection. The CB2 and Novogratz Collection debuted at the beginning of May and was inspired by the Novogratz vacation home in Brazil. Just like their bold, colorful decorating style, the collection features pops of color mixed with warm woods. 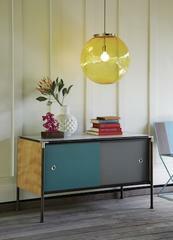 Items and price points range from colorful pillows for under $30 to the modern dupla credenza for $499. 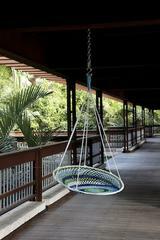 My favorite item in the collection is the figueira swing chair ($149). Now that the weather is warming up, how amazing would it be to lounge in that chair with a cool drink?! 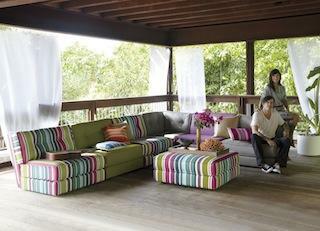 To celebrate the new collection, CB2 is hosting the CB2 and Novogratz Brasil Sweepstakes! You and three friends could win a one week stay at the vacation home of CB2 collaborators Bob and Courtney Novogratz in beautiful Trancoso, Brazil!